One particularly useful feature is a "Game Compatibility Checker" that compares the user's Mac to the game's requirements in real time, making life easier for users with slightly older machines. Another is the ability to delete purchased games and redownload them from the cloud at any time, a useful feature for MacBook Air owners with limited storage space. 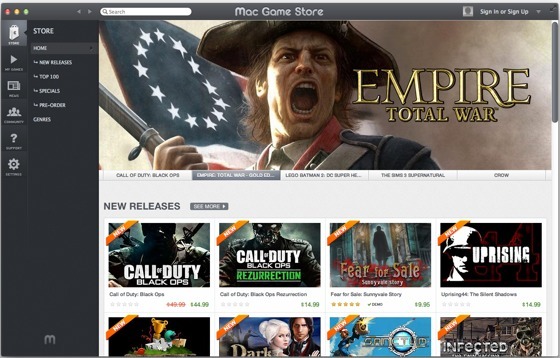 The Mac Game Store can also act as a repository for all the user's games, even those not purchased through the MGS, organizing them in one place for easy access. The store also gives access to demos for many games, as well as game reviews and ratings, and more.